Funeral Services will be held 11:00 A.M., Thursday, March 28th at the Evangelical Free Church in Aurora. Rev. Vance Christie will officiate. Burial will be at 9:30 A.M. prior to the service at the Mennonite Brethren Cemetery, north of Henderson, all are welcome. Visitation will be from 5 to 7 P.M. Wednesday at Higby-McQuiston Mortuary in Aurora. Memorials may be made to the family to designate at a later date. Condolences may be e-mailed to the family through the mortuary website at www.higbymortuary.com. Joan Joyce Ediger, the daughter of Harry P. and Elma (Nachtigal) Epp, was born at home in Hamilton County, Nebraska on September 25, 1935 and passed away in Henderson, Nebraska on March 25, 2019, at the age of 83. She grew up with her family on several farms in around the Henderson area. 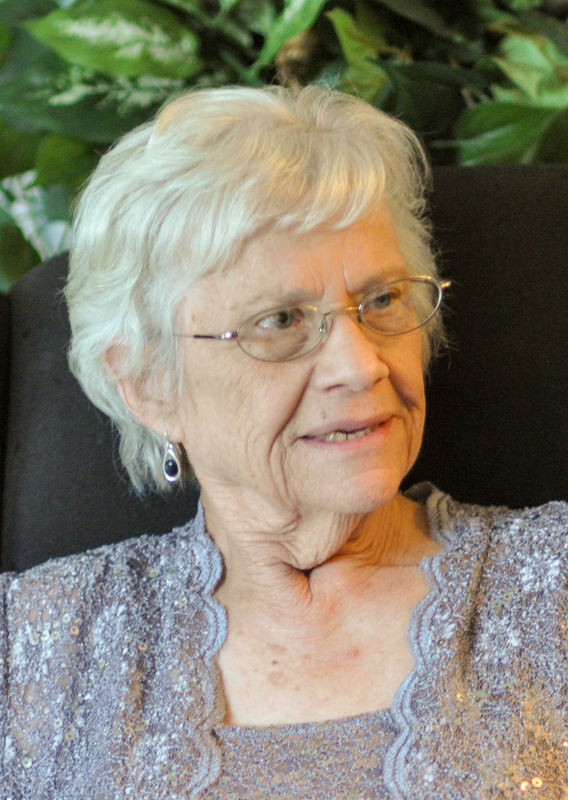 After graduating from high school, Joan attended the Bethel Nursing Program at Newton, Kansas. On June 28, 1957, she was united in marriage to John L. Ediger. They farmed in the Henderson area. Joan worked as a nurse at Henderson Hospital, before becoming Superintendent of Nursing. During her nursing career she also helped her husband on the farm, driving auger wagon or a combine during harvest. Joan cared for Jerry after his football injury and cared for her husband John before he passed away on August 10, 2013. Joan liked to scrapbook and made beautiful family picture albums for all. She sewed several denim comforters over the years for family members. Joan loved baking for others; everyone was very fond of her cinnamon rolls. She loved spending time with her family, a lot of time was spent playing games with her grandkids. She was preceded in death by her parents; husband and sister, Rachel Epp Krehbiel. Those left to cherish her memory are her three sons, Randy (Jan) Ediger of Hampton, Jerry (Amy) Ediger of Hull, Georgia and Mike (Tollie) Ediger of Athens, Georgia and 5 grandchildren, Craig (Amber) Ediger, Jim (Nicole) Ediger, Kyle Ediger, Ben Ediger and Maggie Ediger and great-grandson, Henry Ediger. She is also survived by her sister, Ruth (Dale) Fast; brother, Bob (Phyllis) Epp; brother-in-law, Keith (Mary) Krehbiel; niece, Becky (Matt) Walkup and other relatives and friends.